Not that long ago, the cobbled classics were an anomaly in the cycling calendar. While a team might employ the same frame, component and wheel choices for 95% of their race calendar, the month or so bounded by semi-classic Omloop Het (Volk, Nieuwsblad) and Paris-Roubaix was a special time. The ubiquitous, obvious choices went out the window, replaced by cobble specific setups. Custom frame geometries, cantilever brakes, doubled-up seat clamps, chain catchers, aluminum rims—a myriad of hardware rarely seen outside of the season. For the tech-junkies among us, it was an assault of unique, purpose driven bikes, and it was glorious. By the early oughts, teams stopped with the total insanity the 90's had introduced in to these races—the Rock Shox and full suspension rigs replaced with frames like Specialized's Roubaix, or in some cases, teams employing cyclocross bikes. Sure, there'd was the occasional one-off custom, carefully hidden under paint, but they became the exception rather than the rule. The last bastion of unique was the rim. Up until the last handful of years, box section aluminum rims were the only option for the cobbles. 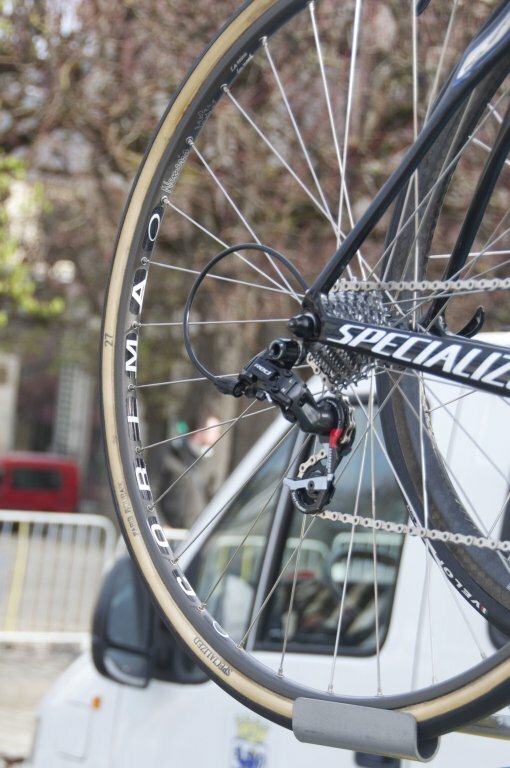 Rims like Mavic's Paris-Roubaix SSC dominated. As the supply of SSC's dwindled in the late 90's, the Ambrosio Nemesis became the rim of choice. 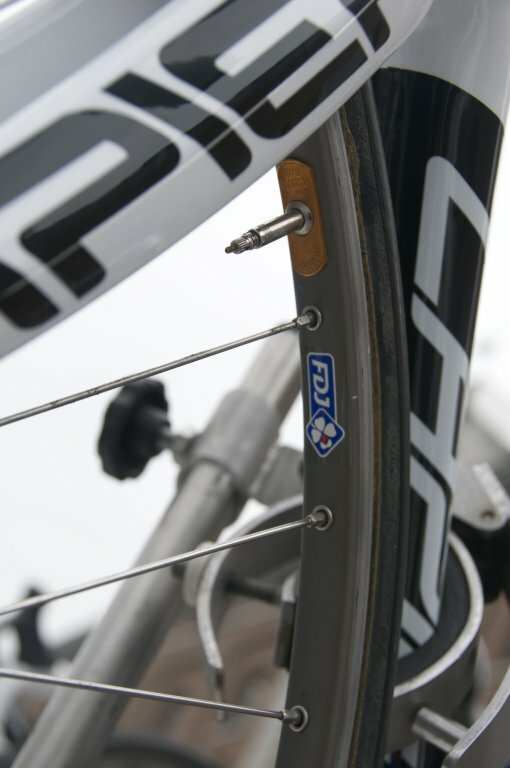 A similar extrusion to the SSC, it was easily identified by its polished brass badge, supposedly placed to compensate for the imbalanced introduced by the drilling of the valve hole, but just as likely there to make sure no one would question what rim you were really looking at—for although everyone knew they were being ridden by a majority of the peloton, only a handful did so without some token attempt at rebadging them. The last few years have been unkind to the box section. To butcher a quote often credited to Andy Hampsten, it would seem the only thing scarier than riding the cobbles on carbon rims is not riding the cobbles on carbon rims. The past three years have seen all of the cobbled classics won on carbon—the last win on an aluminum rim was Boonen's in the 2009 edition of Paris-Roubaix. The SSC, Nemesis or similar aluminum box section, once the rims of spring, have been largely replaced—and while 6 out of 9 of the last cobbled classics wins came on Zipp 303's, the other wheel vendors have also gotten in on the wins as well, including Mavic, Campagnolo and HED. Their reputation for fragility, whether ever warranted or not, has fallen by the wayside as they've demonstrated they're ready for the rough stuff. 2012 saw few aluminum box sections actually hit the cobbles, being mostly relegated to spare wheels or also-ran teams. 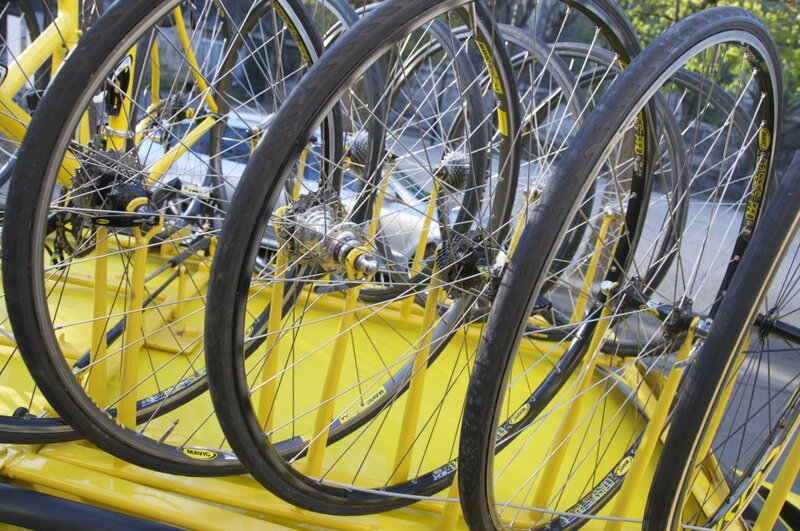 Mavic tubulars, in particular, are few and far between, save a relic or two riding neutral support. While we'll probably a few of these aluminum shod wheels around next year, their day seems to be coming to a rapid—and unfortunate—end. So long old friends. Hey, I have a Mavic box-sectioned tubular wheel that I am looking for info on. It is an SSC rim laced to an SSC hub with SSC bearings. Do you know anything about it?